As pub owners, your clients are familiar with the common challenges they face in remaining profitable. Especially in a competitive industry, these hurdles require more than just keeping their customers’ glasses full. Therefore, in addition to securing their operations with a Pub Insurance Program, share the following tips with them to keep their business afloat. Get to know customers’ favorite drinks and plan ahead. Be sure enough liquor and food is ordered way in advance to accommodate the regulars. A tracking app should be acquired to track drink and food orders and to really understand what customers want. Over pouring beverages can lead to significant financial loss, so train bartenders on what an appropriate pour is. Remember, pouring drinks isn’t just a job, it’s a science. If your clients want to earn the most money possible for each bottle, over pouring must be eliminated. According to Webstaurant Store, Measured liquor pourers make it easy to gauge approximate portions, and also help prevent spillage to eliminate the risk of wasted product. Provide customers with a consistent product and don’t waste inventory by over pouring alcohol. Offer bar munchies to earn extra money and recommend items off the menu to upsell each customer. Chances are, when customers drink they are going to be in need of some snacks- so offer something for everyone! Serving liquor comes with inherent risks. Your clients should understand how these liabilities relate to their business and what they can do to protect themselves- starting with the right insurance program. Further, bartenders should be trained on when to cut someone off and how to recognize potentially dangerous behavior. In addition, a ServSafe alcohol course should be taken by each employee. 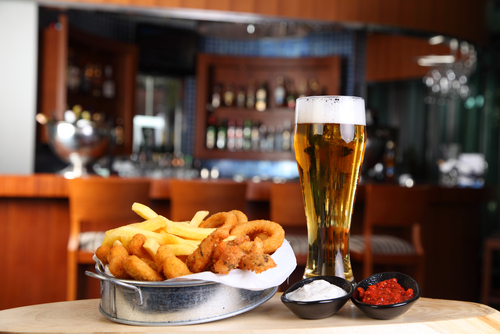 At RMS Hospitality Group, we understand the inherent risks associated with the pub industry. However, our comprehensive specialty programs are uniquely written to protect establishments like your clients’. To learn more about our products, contact us today at (888) 359-8390.